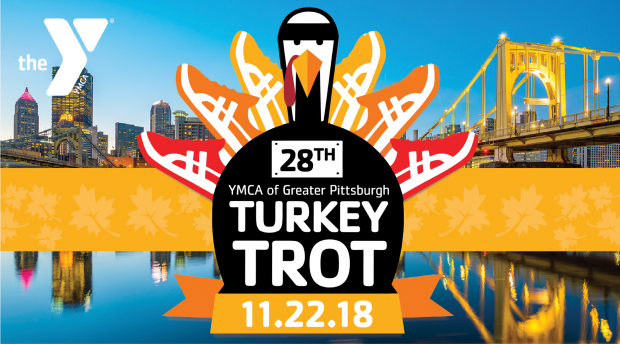 With Thanksgiving just one week away, one of the questions that pops up around this time of year is “where can I volunteer to help serve a holiday meal?” In addition to volunteering, here are some Thanksgiving events around Pittsburgh that support great local causes. Know of other events that should be on the list? Please share in the comments below. This one caught my eye on Facebook because of the image posted on the Facebook event. 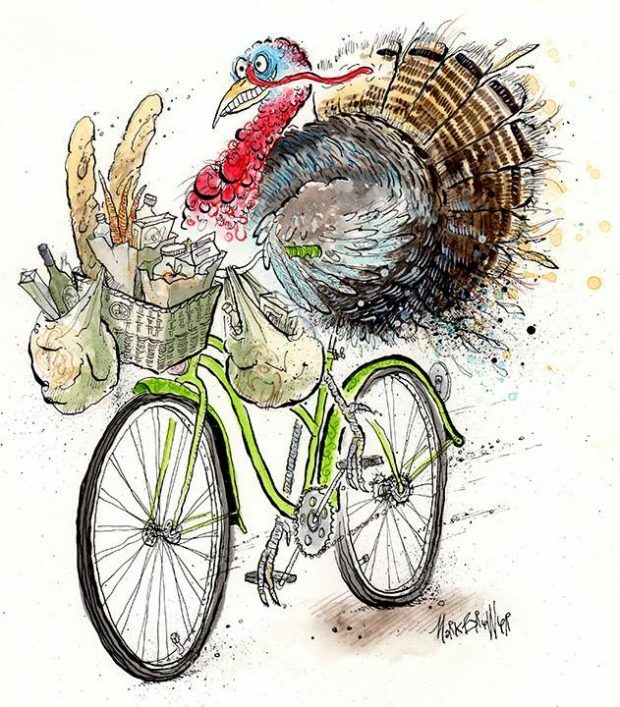 Pedal around Pittsburgh picking up items for a Thanksgiving dinner and drop those items off at the Wilkinsburg Food Pantry, earn points and win awesome prizes. Check out the Facebook page for some of the very nice prizes including swag from BikePgh and a bike that was donated by Golden Triangle Bike Rental. Register online here. More details here. This one is near and dear to my heart. A friend who grew up helping with these dinners asked me to help out a few years ago. I showed up late, which ended up being helpful because they needed someone to take over on the dishwashing. (Life lesson – it is never too late to show up to volunteer). This meal started as an Eagle Scout project – offer up a free, home-cooked Thanksgiving meal. Last year over 100 volunteers showed up and helped to cook and serve dinner for 200 people. It is a beautiful thing when neighbors come together to share a meal. Every little bit helps if you want to volunteer for an hour that is great. If you can donate $10 that is helpful too. Last year 64 people made a donation to the GoFundMe page, I’m hoping we can beat that number this year. Location: First United Methodist Church Social Hall, the entrance is on Centre Ave above the Toy Lending Library, across from Panera. 100% of the proceeds from this class will be donated to 412 Food Rescue. 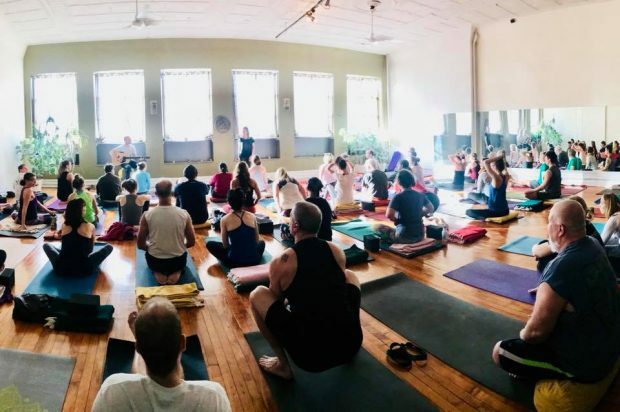 This gentle yoga class will be accompanied by live guitar music.